Mods: Project page can be found here. What Makes This Awesome: Ah, the pattern mash up. It's a wonderful thing. 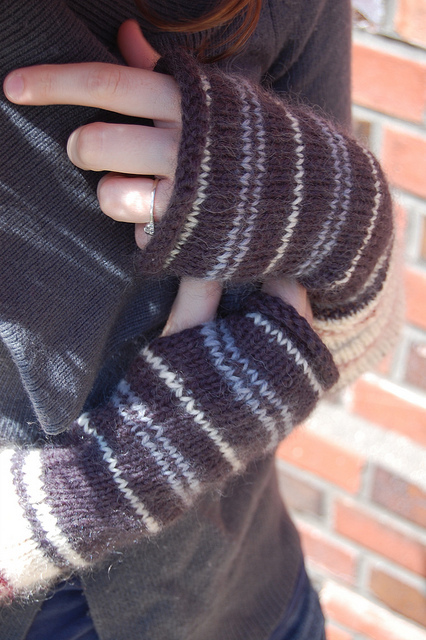 I love how Eliza took the classic coziness of the Toast pattern and made herself some mitts to go with her gorgeous Ships & Seaside Cowl. What a great idea for a bit if stash busting and for making a lovely set. The colours were a perfect choice, they look so wearable and classic. And... today Eliza is celebrating her 2nd wedding anniversary! Happy Anniversary, Eliza and Jake! Love them! 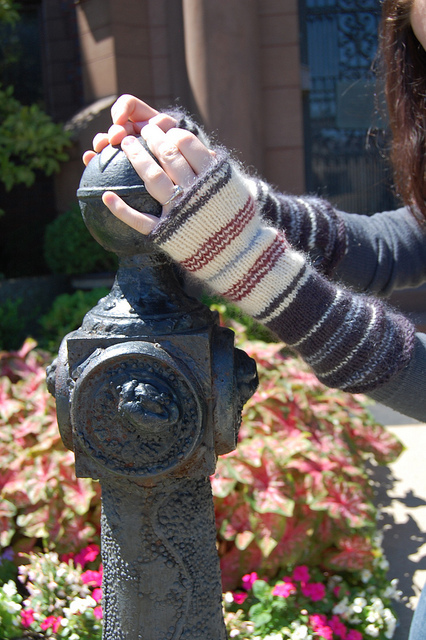 The stripey goodness mixed with the yarn halo makes these mitts irresistible! How incredible ... 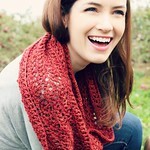 I just recently queued the cowl of this pattern and now to see it as mitts? Fantastic! Gorgeous. Made many many toasts last year...maybe its time again! !